Lisbon is the capital city of Portugal and is a rapidly rising tourist destination for European travelers. Portugal can be often overlooked by the more popular neighboring country and tourim powerhouse, Spain. During the last few years there has been a whole host of new flight routes opening up to Lisbon. This makes it a lot more accessible, and people are flocking in their droves. Even our very own Web Summit has re located to Lisbon from Dublin. 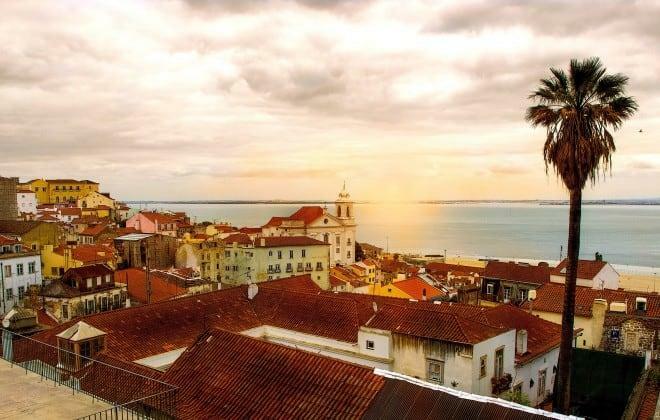 If your wondering what all of the fuss is about read on, this article takes you through the top 7 things to do in Lisbon. If you have any questions for us please contact us or fill in the forma t the bottom of the page. Miradores are places around Lisbon with amazing views of the city and ocean. 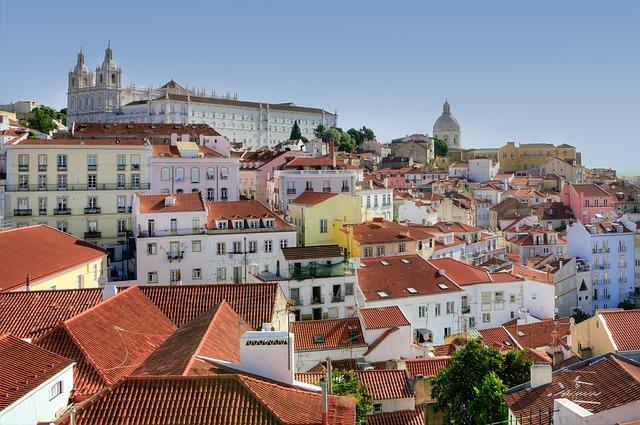 These outlook points are a perfect way to start your city break in Lisbon. You will find them around the capital and so there will surely be at least one near your accommodation. Some miradores are best at sunset or sunrise when you can enjoy the city views in beautiful colors. But because Lisbon is the colorful city itself visiting at daytime is almost as good experience. At night you will see travelers and locals partying in the light up neighborhoods while at daytime the 500 000 citizens of Lisbon live their normal lives on the always busy but relaxed city. The yellow idyllic trams are often seen in the photos of Lisbon guidebooks. You can see two kinds of trams in the city center: old “Remodelado” trams and new Siemens “Articulado” trams. Tram line 28 and its old trams stop at the most important tourist destinations and so the tram is always full. You can enjoy the narrow streets of Lisbon while seeing all the most important attractions. Using tram is a good way to do city sightseeing after long days of walking around. This aquarium is worth of your time because it is also the biggest indoor aquarium in Europe. 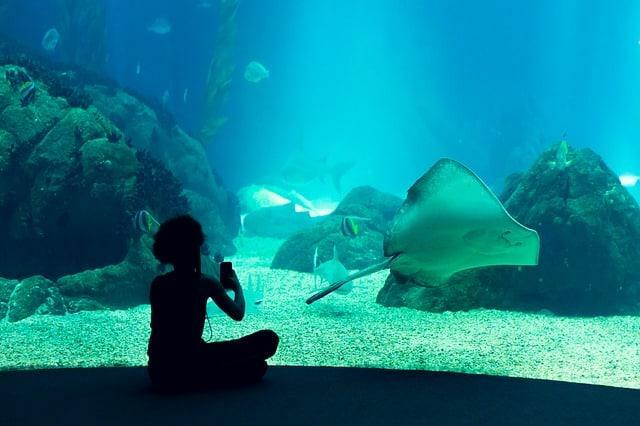 If you love sea and animals, Oceanarium will be like a heaven for you. Over 450 different species make the Oceanarium interesting and you can, for example, meet penguins, sharks, fishes and sea otters. Lisbon is the capital of Portugal but also paradise-like beach destination. Long coastline and good transportation to close-by beaches make Lisbon one of the most popular beach holiday destinations in the mainland Europe. 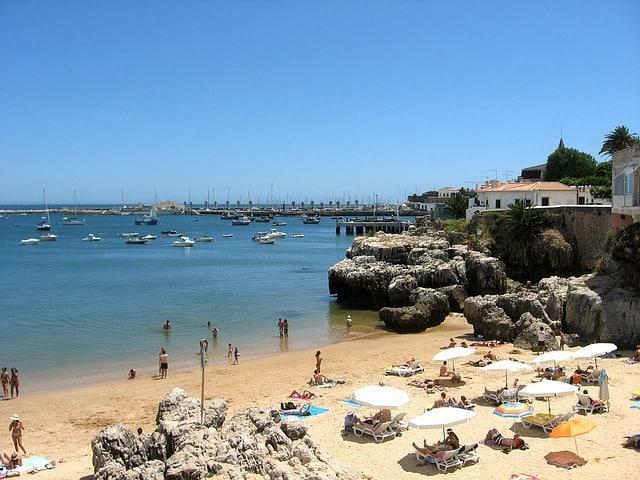 The Estoril-Cascais Coastline and its beaches are maybe the most popular ones for those who want to do a day trip to a beach from Lisbon. If you want a relaxed holiday with a few visits to the capital of Portugal, you should also consider staying in one of the resorts on these beaches and then doing trips to Lisbon. Many tourists around the world decide to enjoy their city breaks to Lisbon from holiday resorts. Sintra is the best-known of Lisbon’s tourist attractions and it is also UNESCO World Heritage Site. You have to travel to about one hour to get this colorful castle but still, almost every Lisbon visitor makes the day trip. Seeing just one photo of this yellow and red building on the hill would explain why. Sintra is one of those tourist attractions you just have to see yourself at least once in a lifetime. In fact, Sintra is a city in Portugal but many people only know its most popular attraction aka colorful Pena Palace. Visiting the Pena Palace won’t take you full day but when you once travel that hour to Sintra you should spend the whole day there. Do a little research beforehand and see what are the attractions and places you would like to visit. Castle of the Moors and Palacio Nacional de Sintra are just two examples of the places to visit. 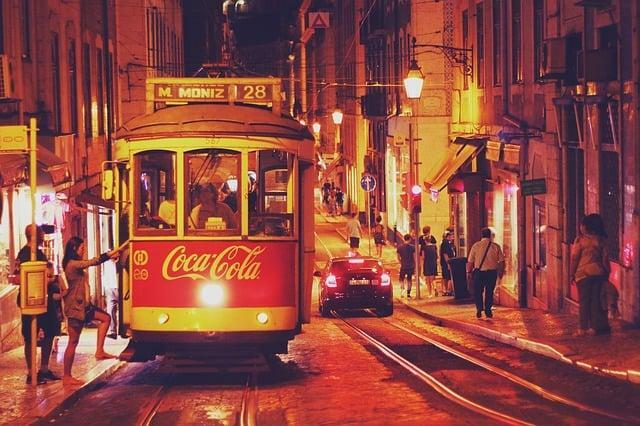 When you travel to Lisbon, you can’t skip the nightlife. Even if you are not someone who likes drinking and partying, just walking around the narrow shady streets is an experience worth trying. In the neighborhood of Bairro Alto, there is always people awake. After the sun has set the restaurants, bars and clubs open their doors. You can hear music everywhere and the whole area lights up beautifully. This is the place to meet locals and tourists alike! The last thing we want to mention is far from the least important tip we can give you. Lisbon is the city of castles and so perfect city breaks to Lisbon include at least visit to one castle. We already mentioned Sintra and its palaces and castles but in case you can’t exit Lisbon you can find old castles a lot closer. Lisbon Castle or also known as The Castelo de Sao Jorge is the main castle that stands above central Lisbon and the neighborhoods of Rio Tejo and Baixa. You can have amazing views from the top of the castle. 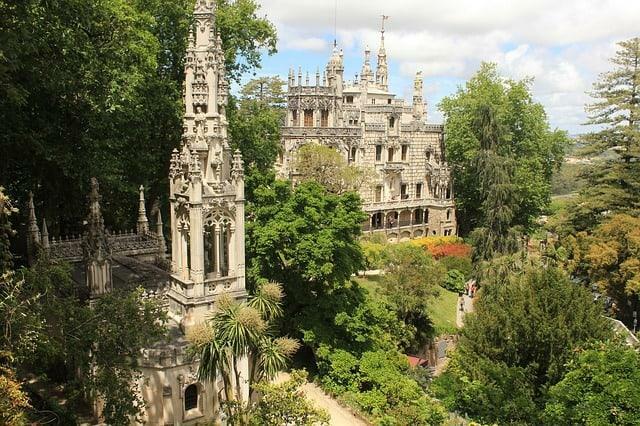 If you want to make a one-day trip to see castles, we recommend Sintra. But if you have time for more, there are several huge and beautiful old castles in Portugal. 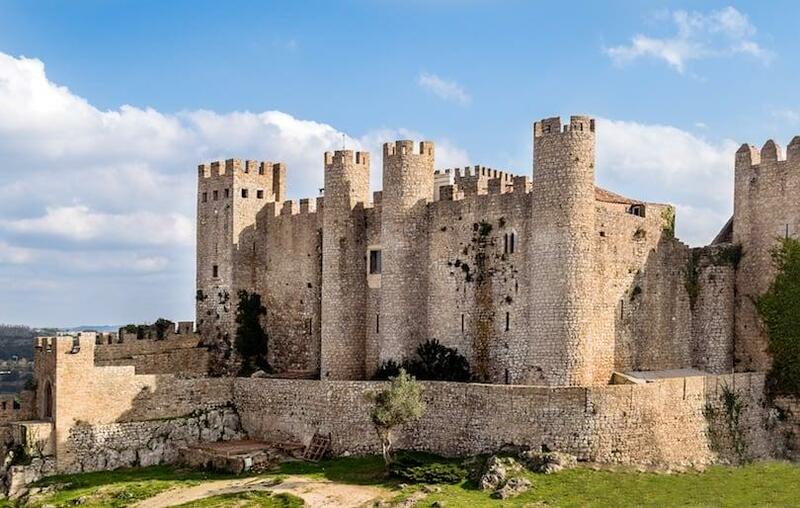 Leiria Castle and Castle of Evoramonte are only short trips away from the capital. Thanks for stopping by and checking out this article. If you have any comments or suggestions please let us know what you think in the comments below. We love hearing from you so please don’t be afraid to get in touch. While you are here you could check out some of our travel tips or latest holiday deals that can get you in the mood for your next excursion. Happy Holidays!